What if you encountered a dark and sinister character of not so subtle reputation? One whose origins are the very meaning of temptation and sin. What do we really know of creation, myth, and belief? There was a Man, a Woman, a Garden, and of course… a Serpent. Yet, what we have come to know as temptation, and mortal sin are only one side of the story. You see, three sinned, and three were punished, but only two were expelled from the Garden, but afterwards…what happened to the Serpent? A present day man finds himself eye to eye with the infamous Serpent of curse and ruin. The Serpent who characteristically makes the man an offer to learn not just what happened, but why. A tale unlike any other, where the fall of man is not weighed on a scale of good or evil, but in truth and lies. The Serpent whose intellect, sarcasm, and wit cultivates over time as he appraises the history of man and religious lore. 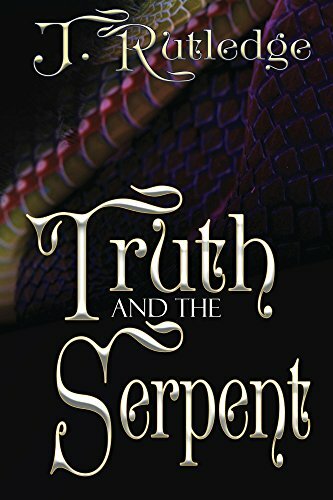 The Serpent who is also on a journey of self-discovery to learn the meaning of that ill-fated encounter and the purpose of his own life. Come to know the unsung story of one who lived through creation, survived the great deluge, witnessed a mass exodus, and the rise and fall of exalted kings of men. Could such a tale, as told by a forked tongue, be the end of lies, and the beginning… of the truth.